Welcome to the first of three posts of our day trip to Washington State. Wendy and I decided to go down there and see what we can pick up before the Memorial Day weekend. We rushed to the border, but hopelessly knew that we couldn’t last the trip without a good breakfast to power the drive. Heading towards the southbound entrance to Hwy 99, we quickly dropped by the Burger King located in Ironwood Mall. The drive-thru was our preference this time. Wendy has never tried Burger King (not that she remembers) breakfast before, so I thought this was a perfect chance for her to try it. FYI, it is definitely better than M’s stuff. The Double Croissan’wich – the star of the meal. It consists of eggs, sausage, bacon and that melted, stretchy cheese you see in the picture. The “croissant” part of the sandwich was quite warm which made it taste even better. The reason why I particular prefer BK breakfast sandwiches over M’s is that BK makes an effort to make and keep it hot when they serve it. 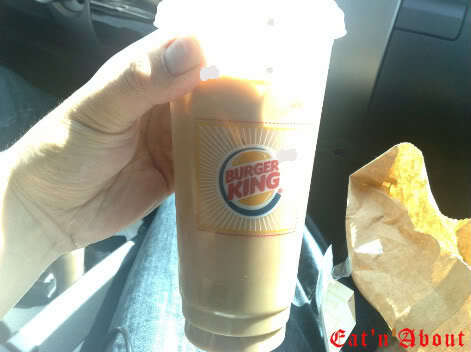 Another BK Promotional item: The Mocha BK Joe Ice Coffee. This was definitely the surprise item for the week for me. I expected some bland mix with ice and was pushed as part of a promo. I was dead wrong. The Mocha BK Joe Iced Coffee was just the right amount of sweetness, strong enough coffee flavor and it came in a very big cup! I was expecting the small cups that accompany M’s attempt at iced coffee in the recent months. I am too pleasantly surprised and I give this item a big thumbs up! Good job, BK! All in all, a very satisfying breakfast to lead off the day. Wendy was very content with the meal as well. She also digs the Mocha BK Joe Iced Coffee. So please, if you guys ever wake up early and don’t know what to do (breakfast ends at 11am at BK), then go on ahead to BK to give it a try. I noticed you have posted several fast food reviews. Since you and Wendy like to go to the states to shop and eat, (who doesn’t?) 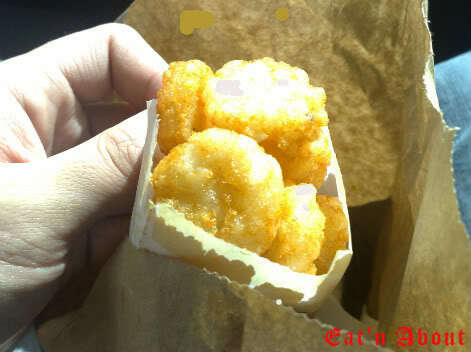 have you ever tried the shakes from Jack in the Box? They often have different seasonal flavours like pumpkin and blueberry. 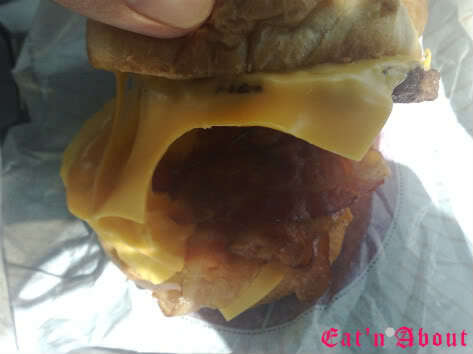 On my trips, I always go to Jack in the Box at least once, their sourdough burgers are greasy but oh so yummy. Also, a new discovery is Popeye’s chicken in Burlington. There used to be one in Coquitlam, but it closed and I have been dying to try it ever since. Their southern fried chicken is very crunchy and juicy, better than Church’s, but the highlight is the flaky, buttery biscuit. When I was there last weekend, they had a $1.99 special (2 pcs plus a biscuit). If you don’t feel like chicken, there’s always the cheap taco truck in front of Fred Meyer’s just past Cascade Mall. They have tongue, which I absolutely love. I think the’re about $1.50 per taco. We have in fact tried Jack in the Box. We’ve blogged about their Pumpkin Pie Shake and the Macaroni Bites. I would love to try Popeye’s!